Kinesio tape is designed to facilitate the bodies natural healing process while supporting and stabilising the area of concern. It can help with joints or soft tissue issues. This tape has been used on a variety of athletes for a range of conditions; from prevention of pain, to rehydrate tissue or as a support to an injury. This therapy has outstanding success on and off the sports field. Clare has found this therapy useful for a variety of sports men and women from long and short distance runners through to Jockeys and stable lads. 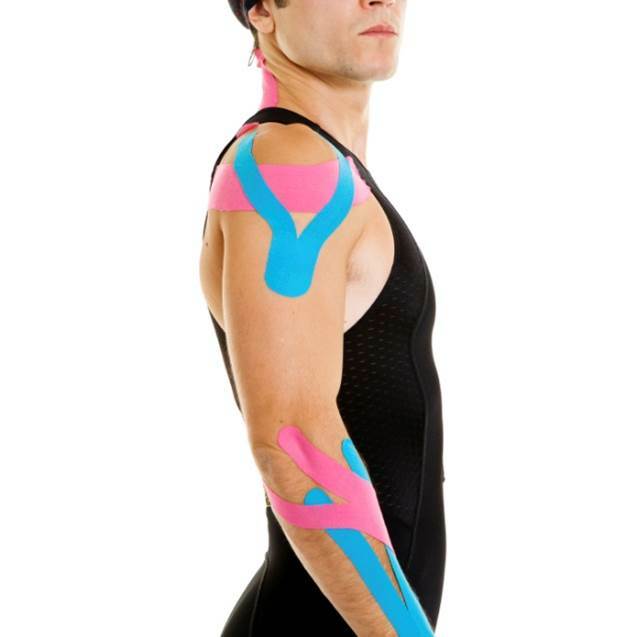 Kinesio taping can help with ….